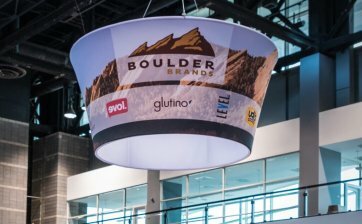 High flying signs offer visual impact above the trade show floor. Attendees can easily find your client’s booth. 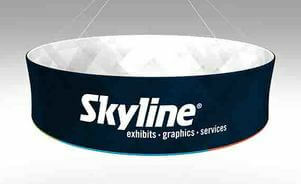 SkyFlyer™ is Skyline’s newest hanging structure system. 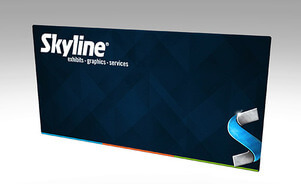 With American-made aluminum frames, Skyline PolyFlight fabric and in-house dye-sub printing, SkyFlyer™ provide a high-end look at an affordable price. Want To Ask a Question About Skyflyer? 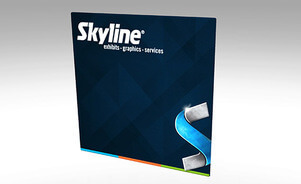 I agree, to receive Skyline emails containing exhibiting strategies and invitations to free conferences and events. I understand that I can unsubscribe at any time. 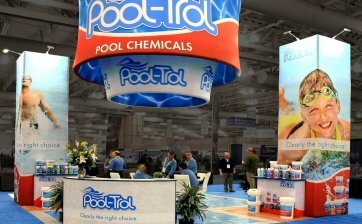 Attract attention from all over the show floor with large, lightweight hanging signs, towers and other structures. 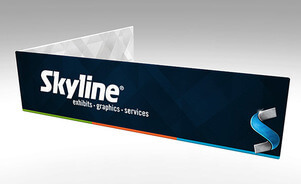 Skyline offers two systems: Tapestry® and Fabric Structures. 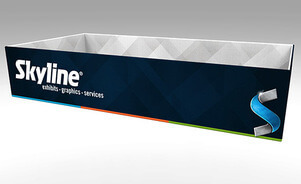 Fabric structures can conform to virtually any organic shape and size, and are covered with our patented Superfecta® fabric graphics, exclusive to Skyline®. It has a 1 1/4” diameter steel frames up to 46” (117 cm) in length and shapes range from, round, square, rectangular, disks and more! 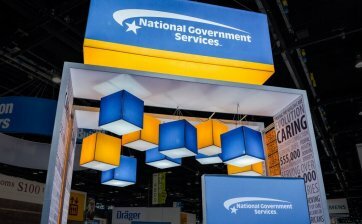 PictureScape® has an aluminum frame system that can support almost any angled shape, and has the ability to showcase graphics on either side of the structure. 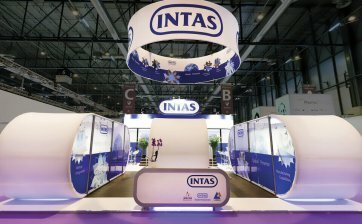 This Lightweight system is so versatile you it can be used as an inline exhibit, in an island setting or even retail environments. 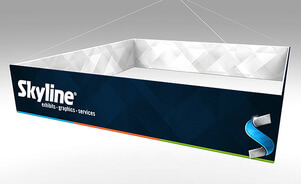 Announce your presence from afar on trade show floor with our revolutionary PictureCube® system. 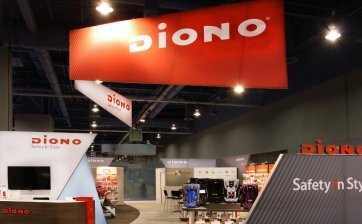 Made with an aluminum structure that is barely visible and allows you to back-light your hanging signs. 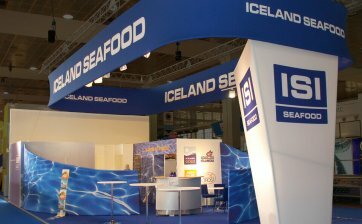 A backlit PictureCube® can alo be an important component of your over island exhibit design. Tapestry® has 2″ diameter aluminum frames and feature universal connection systems, which are perfect for ceiling or tower installations. Tapestry® has tubes up to 8’ (2.4 m) long. Longer tubes with fewer connections are better for spanning greater distances. Create the custom shape that’s right for your design. WindScape® hanging structures pack ultra-small and are lightweight for quicker rigging. Standard shapes include round, square and trapezoid in a variety of sizes up to 16’ (4.9m). The first ever air powered system that is guaranteed to wow your audience, and even other exhibitors. Have a question about our hanging signs?